Beautiful private backyard with multi-level decks overlooking common property. 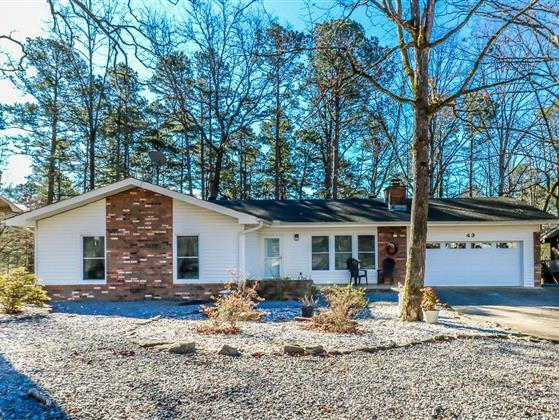 This 3 bedroom 2 bath home offers open floor plan with gas log fireplace. Updated kitchen with stainless appliances and new counter tops. Below the home are 2 different workshop/storage areas...perfect for the hobbyist. Cheery sun room is located off the dining area. There is another hobby area of office space off the sun room. Oodles and oodles of storage for all your treasures. Roomy garage with additional storage there too.